Winches are an essential item for getting your UTV out of a difficult situation. 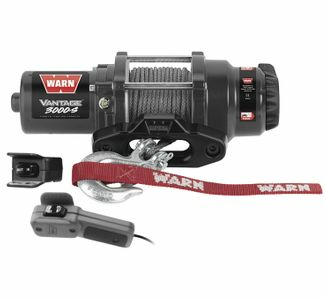 We have a wide variety of winches from Warn, Mile Marker, Bulldog and KFI, so you can choose the winch that is right for your specific needs. These winches will work great on all UTVs from Polaris and Can-Am to Honda, Yamaha and beyond. Our selection of Winches will range from high end, that can withstand even the most constant extreme abuse to the more budget minded winches that are prefect for UTV owners who may only need to winch a few times a year. In addition to the winches themselves you also find a variety of winch accessories as well.